Process-optimised tools by Hufschmied promise up to 30% savings in processing time. Thus, these material-optimised tools achieve a quality without the need for post-processing, combined with a service life increase of up to 25%. Many renowned companies in tool making and mold making increase their productivity and their manufacturing quality with tools made by Hufschmied, simultaneously lowering their processing costs. Graphite is a perfectly suited material for electrodes. This heat-resistant and form-stable material makes long service life possible in sink erosion. For the machining of this brittle material only low cutting forces are necessary, even when milling complex 3D structures in a workpiece. However, the actual machining is challenging. 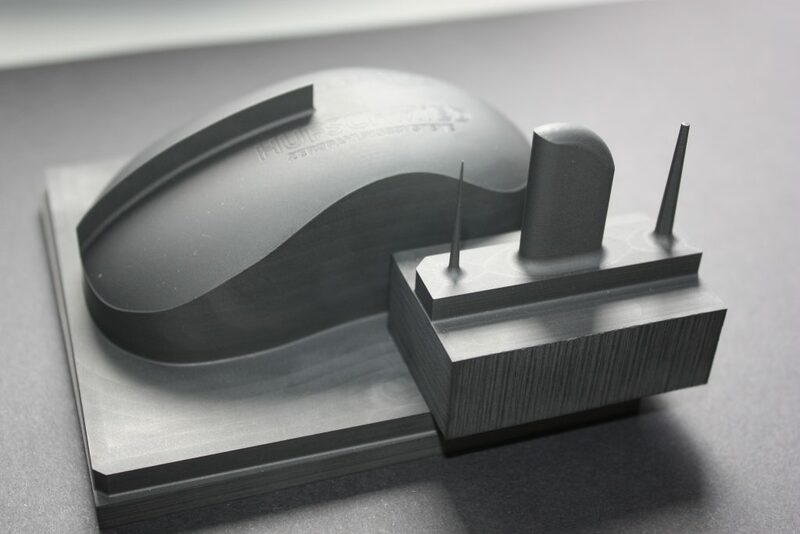 Molds made from highly-abrasive graphite are becoming increasingly smaller and intricate in many sectors. This in turn increases demands on the tool in use and even the smallest of tolerances have to be guaranteed here. The demand for a high surface quality often can only be met by a high-quality and high-performance tool coating. The configuration of substrate, geometry and coating are essential for the productivity and operational performance of the tool. Our Graftor® is equipped with a Hufschmied-patented nano-crystalline DIP® diamond coating for the cost-effective machining of graphite – each geometry has been optimised for graphite as a material. Block material of varying density is used as a material for mould-making. This form‑stable material provides every possibility for the construction of master patterns, design-, styling- and cubing-models, as well as various moulds, foundry tools, core boxes and gauges. Previously, you had to program up to seven different steps in order to produce a complex mould. There were also different tools necessary for roughing, smoothing and the processing of residual material. With the new BlockBuster you will now only need one single tool. Only low cutting forces are necessary to cut this material, even for complex 3D structures and thin-walled bars can be machined in a workpiece. The actual machining is challenging, the moulds can have very deep cavities with a lot of material to be removed. One of the biggest challenges of the sector is the increase of productivity and the reduction of machine hours per component – all with the highest demands on quality, obviously. This in turn increases the requirements for the tool in use, and tight tolerances have to be guaranteed, too. The configuration of substrate and geometry is essential for the productivity and operational performance of the tool. Our new BlockBuster is designed for the cost-effective machining of all types of sheet materials. Each geometry has been optimised for block material. 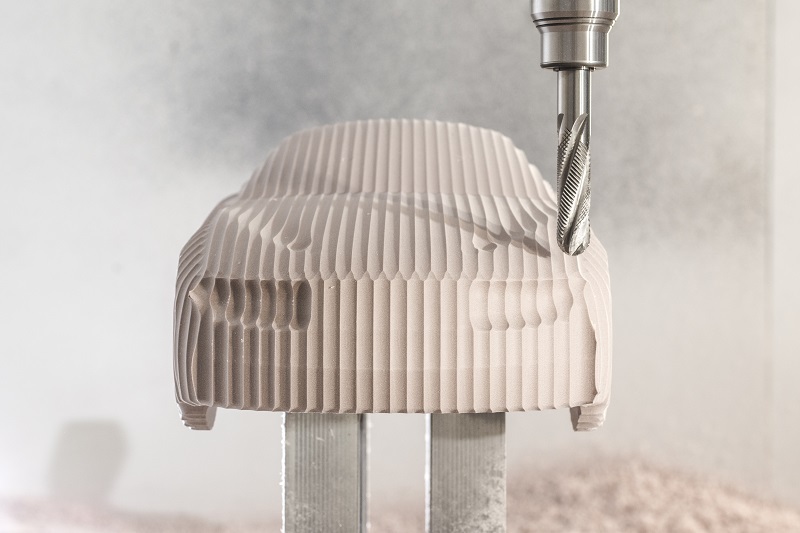 Hard-milling also plays an increasingly important role in tool making and mold making, offering a huge potential to complement process chains and to fully replace certain processing steps. However, the machining of ultra-hard special materials depends heavily on the tools in use. Accuracy and surface quality are particularly important in tool making and mold making. Especially when it comes to the cutting of narrow and deep contours and cavities, the demands on the milling tool are high. Tool Making requires the use of hard steels. 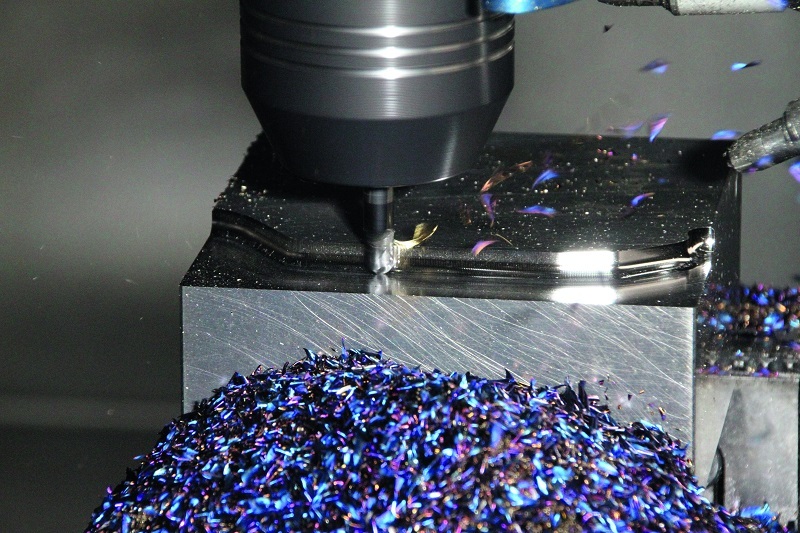 For the machining of these materials, HUFSCHMIED provides tools from its Hard‑Line range. These drills and milling cutters are available in diameters ranging from 0.5 mm for miniature ball and torus cutters up to 20 mm diameters for the large multi-blade cutters for the manufacturing of cutting tools.